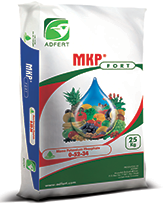 MKP®FORT 0-52-34 is Fully water-soluble fertilizer, Contains high concentration of P & K, its 100% assimilated by plants that make MKP most suitable fertilizer for all Agriculture & irrigations programs. 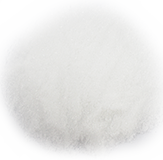 MKP®FORT Mono Potassium Phosphate Soluble grade, High purity Fertilizer that contains the highest concentration of macro Nutrients phosphor and potassium completely soluble fertilizers. MKP®FORT : contains no nitrogen, it is particularly well suited for intensive applications where a lot of fertilizer must be used. MKP®FORT has a lowest salt index of 8.4 and a low EC value of 0.7 mS/cm (1g/L) which is beneficial for young plants (nurseries) For foliar application or for the crops that are sensitive for high salt accumulation.